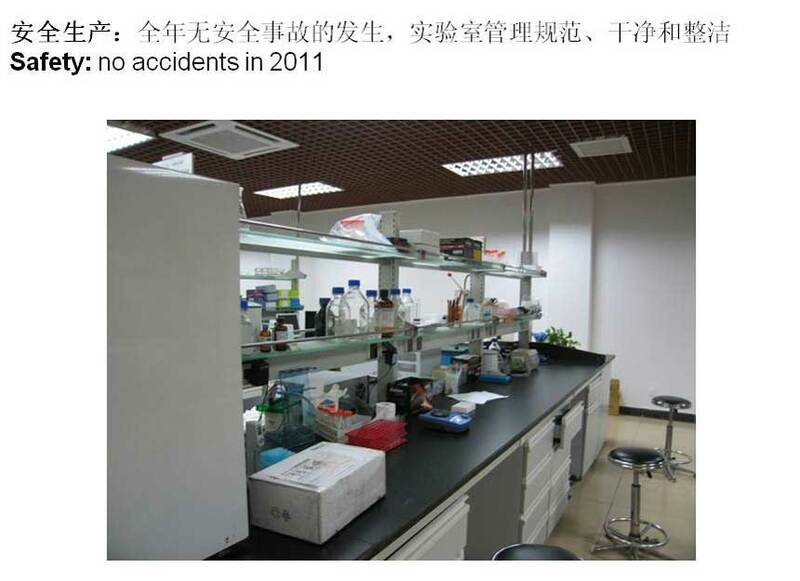 The goal of the Drug Metabolism and Pharmacokinetics’ Group is to establish an internationally first-class pre-clinical drug research and drug safety evaluation laboratory. Our studies mainly focus on drug metabolism , pharmacokinetics, drug safety evaluation, comprehensive systematic research and providing comprehensive services for new drug reporting of IND and NDA. 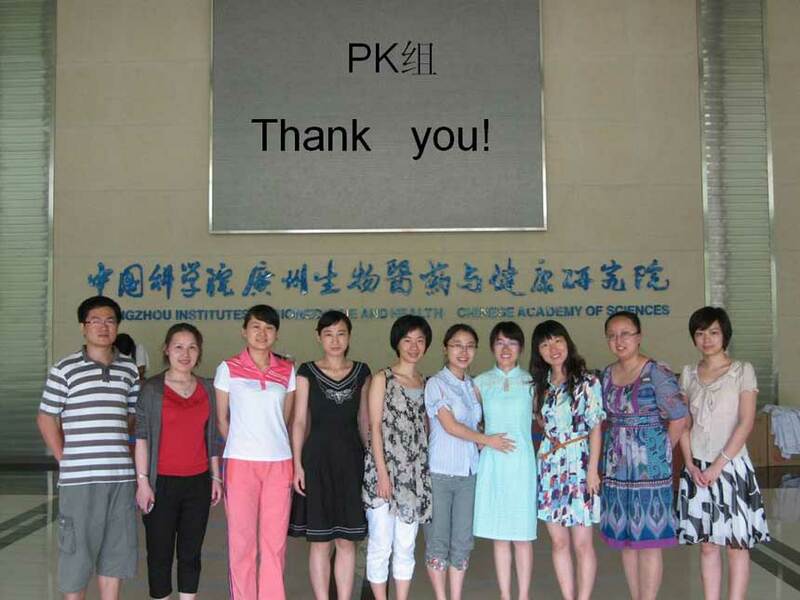 From November 2009 to present, the group has provided PK and ADME on more than 60 compounds in our institute. A. 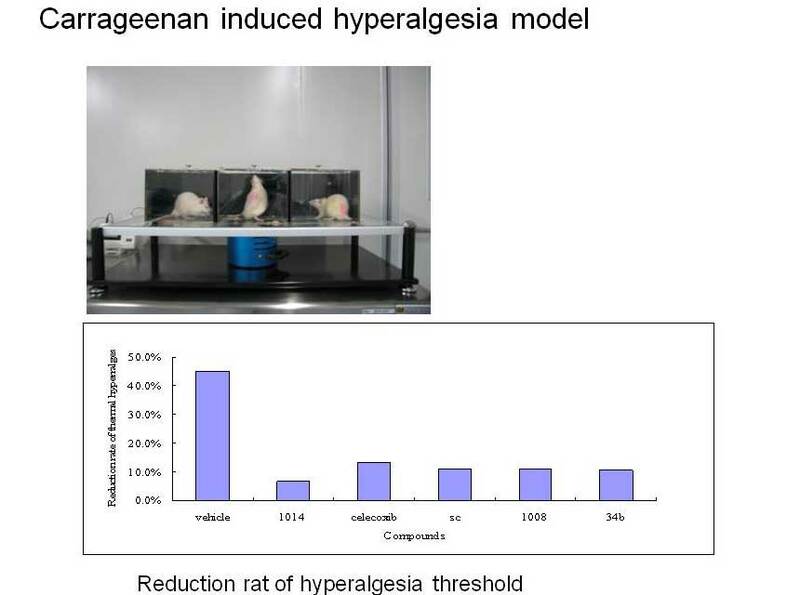 Plasma concentration-time curves: Classic pharmacokinetic experiments which use SD beagle dogs and cynomolgus monkeys as whole-animal models are the basis of all the ADME/T research. B. 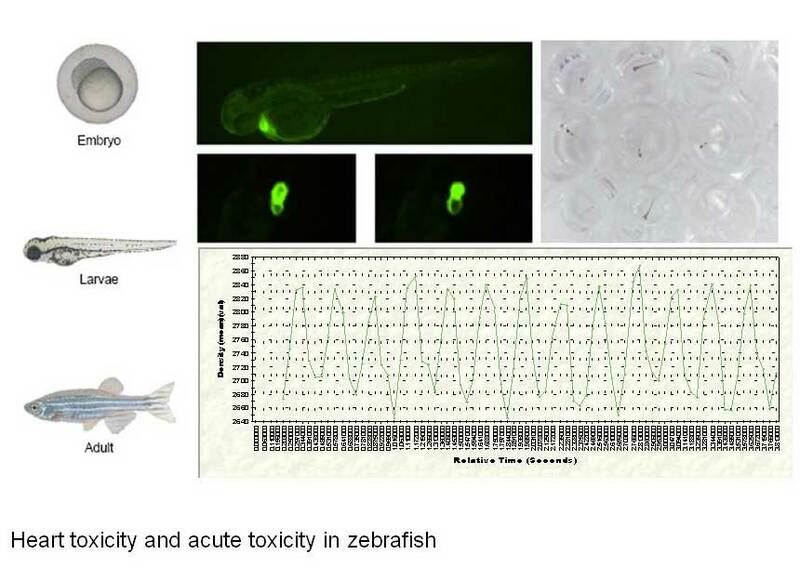 Drug absorption: In vivo experiments are used, supplemented by in vitro experiments to evaluate the extent and speed of drug absorption problems. 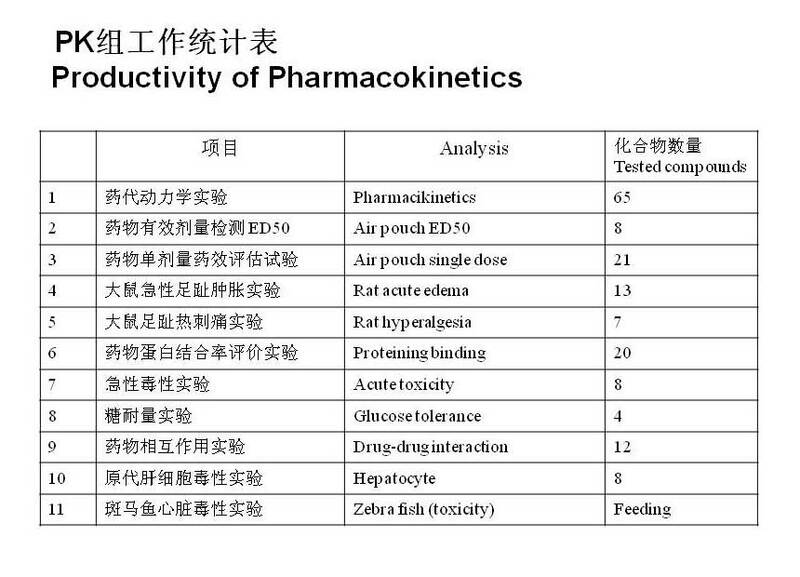 C. Drug distribution: Such experiments often assay the distribution of in vitro protein binding of drugs in rats/mice and large animals’ major tissues and organs, which can provide important information for toxicity of pharmacological drugs. D. Drug metabolism: Using metabolomics as a tool to find metabolites, reveal metabolic pathway, answer the question of drug in vivo conversion, establish a basis for the study of toxicity of metabolites, provide theoretical basis for clinical research and clinical medication of new drugs. 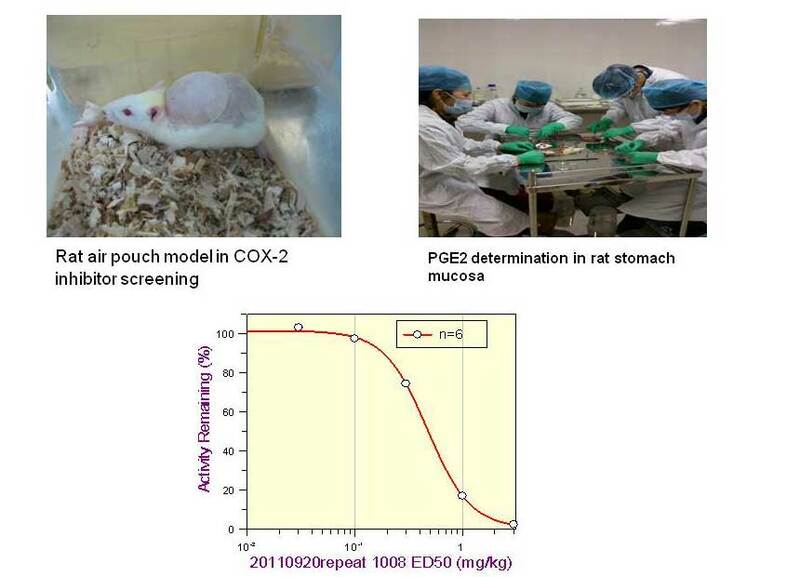 E. Drug excretion: Such experiments make use of rats/mice and large animals like beagle dogs and cynomolgus monkeys to conduct in vivo study and obtain the data of cumulative execration and excretive fraction in the kidney, liver and other organs, which can give certain directions for clinical medication. A. In vitro absorption model (Caco-2 cell model): evaluation of drug absorption. B. In vitro liver perfusion model: On occasion used as a surrogate for animal experiments to answer questions related to metabolism. 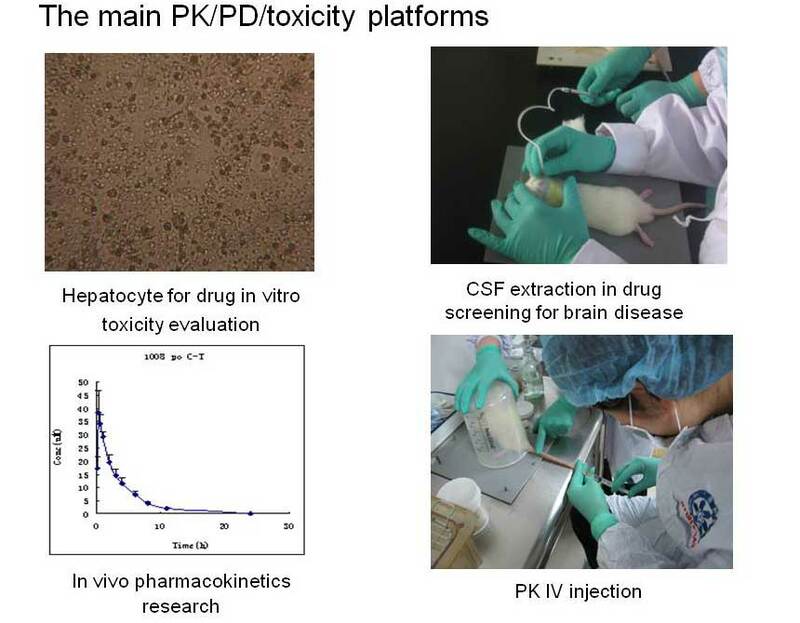 C. Primary hepatocytes in vitro: an alternative to in vivo and in vitro organ experiments for addressing the issues of the interaction of drug inhibition and inducement, metabolites, metabolic pathways and so forth. D. Microsomes: Analysis of metabolic rate, evaluation of drug interaction (DDI), evaluation of metabolite profiling, metabolic enzyme spectroscopy, etc. 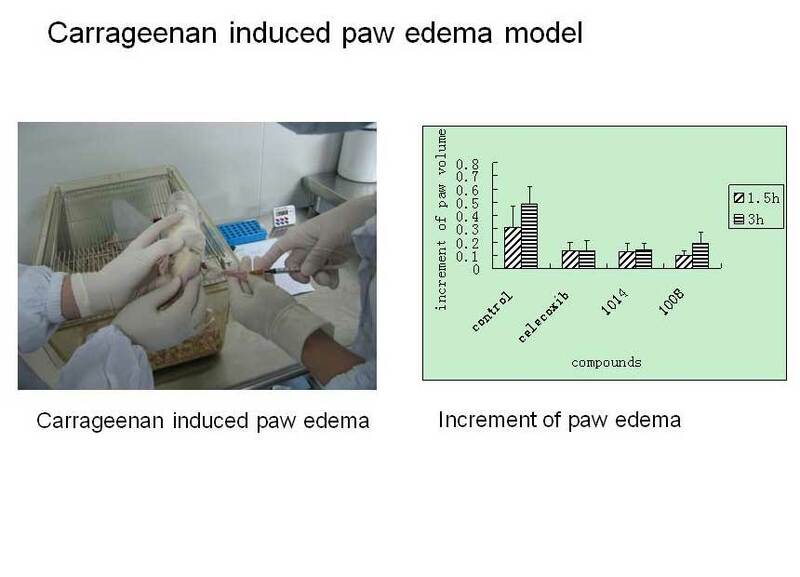 E. Drug plasma protein binding: Assay the plasma protein binding rate of drugs in the body. 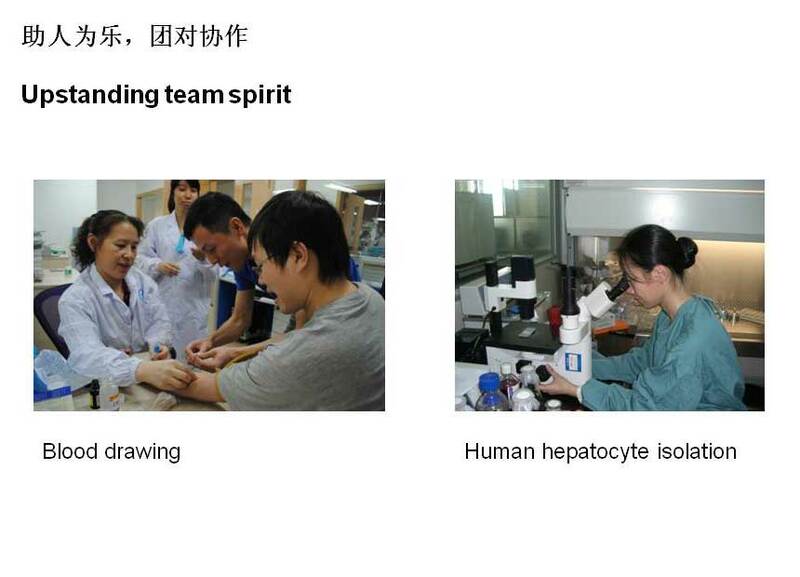 The team has established a screening service platform that includes a drug absorption screening evaluation system, drug metabolizing enzymes in the effect of high throughput screening system, drug biotransformation in vivo and in vitro model, drug toxicity evaluation system (cardiac toxicity, AMES, acute toxicity, chronic toxicity, etc.) and so on.